The brain is a mysterious organ. It is responsible for all the functions of the body, processes pain, yet has no pain receptors of its own. It’s 73% water and produces enough energy to light a small LED bulb. 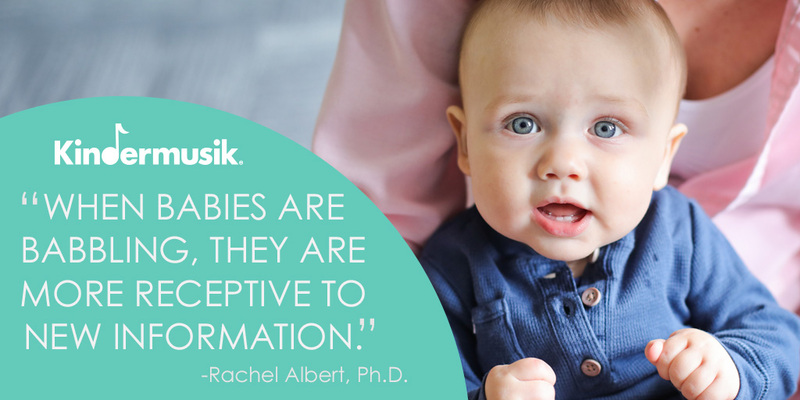 An infant’s brain is constantly growing but is already about 80% of the size it will reach in adulthood. If you had a piece of your own brain the size of a grain of sand in your palm, it would contain over 100,000 neurons (the cell type that transmits information) and over 1 billion synapses (the junction between neurons). There is much we don’t know about the brain, but after decades of high-level research, we have learned a great deal. [vc_row][vc_column][vc_column_text]Friends, I’ve said it many times before, and I’ll continue to say it: music is magic. Below, you’ll find a short, five-minute film about Edward Hardy, a retiree in Somerset, England, and Sam Kinsella, a young man looking for a few extra bucks. Sam’s search lead him to Mellifont Abbey, a residential care facility in Somerset and the position of activities coordinator. What happened next was nothing short of amazing, a word that gets tossed around a bit too casually for my taste. But for Sam and Mr. Hardy, no other word will do. Together, they discovered how music can heal the spirit. Mr. Hardy had been suffering from dementia for some time. He would pound on the floor and call for help for no reason. His interaction with others was limited and strained. He was depressed and detached. Sam eventually disclosed to Mr. Hardy that he was part of a band in Somerset. This bit of information seemed to pique Mr. Hardy’s interest. He told Sam that he played piano for years. This gave Sam an idea. He had a keyboard brought in for Mr. Hardy. 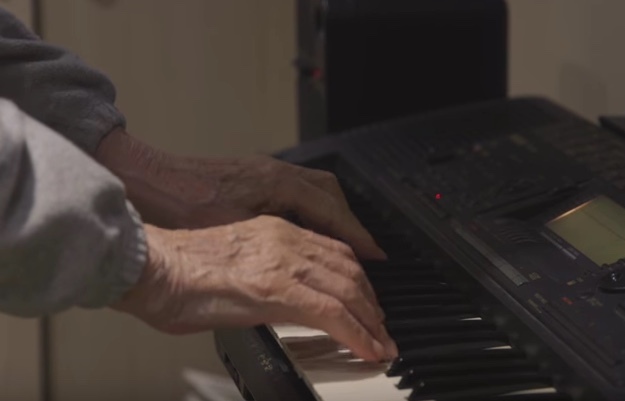 This was the beginning of a new light in the 93 year-old’s life. To everyone’s surprise, Mr. Hardy came out of his shell and played for everyone. Mr. Hardy plays with former bandmates. Sam decided to seek out some local musicians so Mr. Hardy could make music with a group again. People came out of the woodwork to make music with Mr. Hardy. To Sam’s surprise, among them were some of the original members of Mr. Hardy’s band. They gladly came out to Mellifont Abbey for a jam session. You’ll see Mr. Hardy make music with them in the film, and the obvious joy on his face when he does. This lead to the idea of having the newly reformed group give a concert at Mellifont. This not only brought joy to Mr. Hardy, but to the other residents as well. 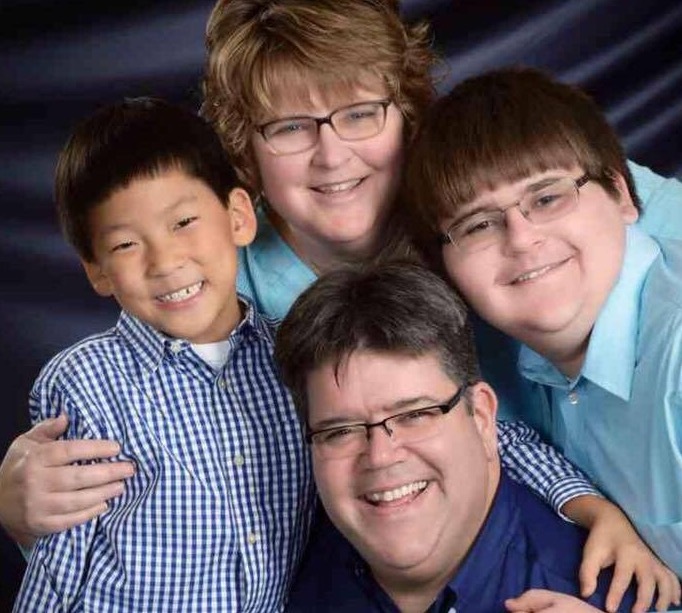 [vc_row][vc_column][vc_column_text]Mark and Kim Elicker and their son Ethan were a wonderful family, but they all had so much more love to give. 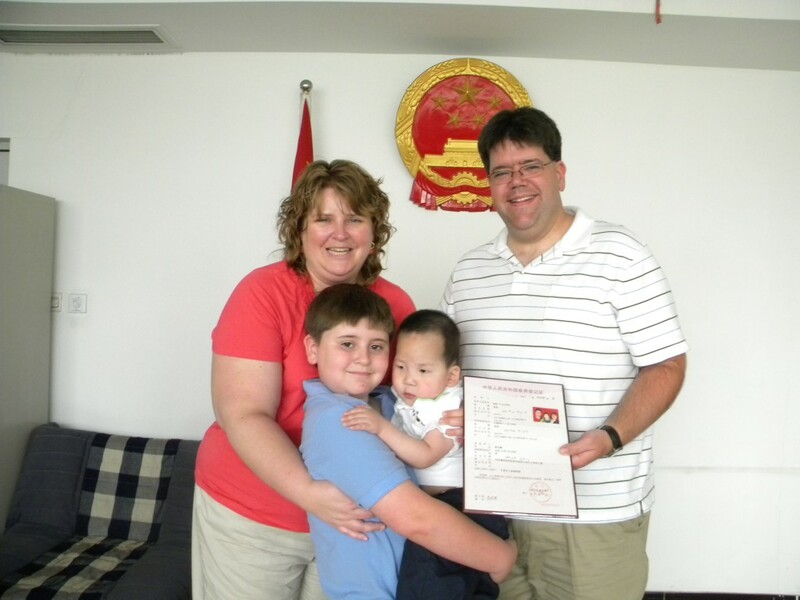 About six years ago they traveled to China to adopt two year old Alex. 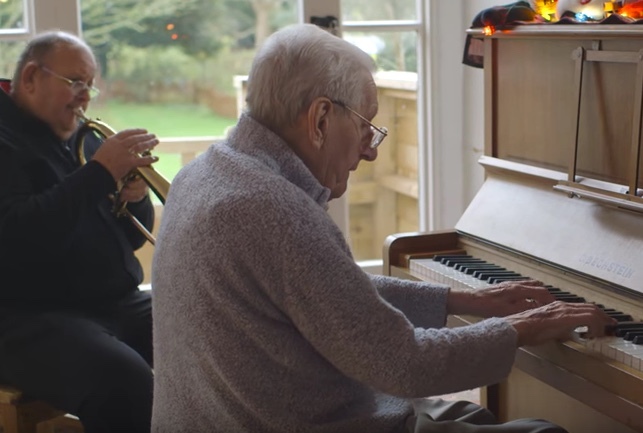 This is his story – a story of endless love and musical magic. Lydia was the reason we started and fell in love with the program. With Ethan I admit I valued the social benefits of being with other Mom’s and families. As an early childhood educator I connected with the developmental appropriateness of the curriculum. Years later when we adopted Alex, I once again became a stay at home mom and I wanted that connection to other families. I chose Kindermusik again with Alex because I loved it so much with Ethan, but I honestly, remember seeking activities that I believed would foster our bond and attachment. The day Alex legally became a member of the Elicker family! When Alex came home with the Elickers at age two he wasn’t very verbal. He was a child surrounded by sounds he had never heard. Occasionally, he’d speak a word or two of Mandarin, like mā-ma (mother), bà-ba (father), gē-ge (older brother), and siè-sie (thank you). Dr. Boyle: When Alex came home with you, how would you describe him? Kim Elicker: He was quiet and energetic, though when he first came home he didn’t have a lot of stamina. He was curious and resourceful! He could play with a bucket, a box of crayons, and a paper bag. That was just him – he didn’t need anything fancy. DB: You mentioned he wasn’t very verbal. KE: He wasn’t. And that’s a typical very typical of children who are adopted into a family who speaks a different language than he was born into. DB: Right…so what he had been hearing for the first two years of his life, he’s wasn’t hearing that any more and was a completely different environment for him. KE: Exactly. In our situation, everything changed – what he saw, what he heard, what he smelled, even what touched his skin. It was all very different. DB: So…you shared with me that on days he was going to Kindermusik, Alex tended to be more verbal. KE: Yes. In the beginning, receptively he picked up English rather quickly. He was following simple one step directions. DB: Little kids are sponges. KE: Yes! But his communication pretty much shut down verbally. We expected that from classes we took before the adoption. His brain was switching gears. We read to him, we talked to him, we engaged him all the time, but he didn’t attempt to speak a lot. When we started Kindermusik, in the beginning much of it was listening in that particular first program he was in. I noticed his concentration level – his focus – was very intent. He would be very tired those afternoons after Kindermusik in the morning! By his second set of classes, I started noticing a change. We’d go to Kindermusik, we’d have lunch, and the rest of the day he’d be much more talkative. He’d attempt new words. Anytime he tried new words, it seemed to be on Kindermusik days. Once I noticed the pattern, I really started paying attention to it. It followed this trend for about a year. DB: And did you take part in the classes with him? DB: That’s great. There’s all this research out there that tells us that because of the way music impacts the brain, when you make music with another person, it builds empathy between you and the other person, it builds trust between you and that other person. You can become more comfortable with that person when you share a musical experience. 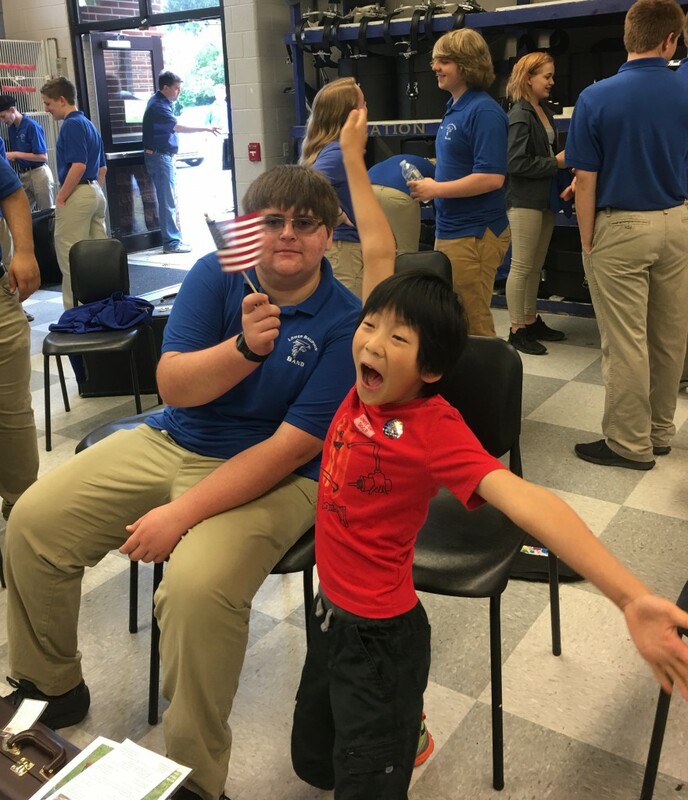 Ethan and Alex having fun in the band room. [/vc_column_text][vc_column_text]DB: Sounds like Kindermusik was an important part of Alex’s process. KE: Yes! I remember sharing the news of Alex’s increased verbal activity with Lydia, our Kindermusik educator. She said it just gave her chills! She was excited to get that feedback. DB: I would imagine! Kindermusik is certainly fun with music and movement, but the mission is really to help kids develop socially and emotionally…getting them to interface with other kids and have positive interactions with adults. It helps them move through those developmental domains. KE: Certainly. And in our case, it was quite obvious because he wasn’t really verbal at all…it was very easy to pick up on when was happening. 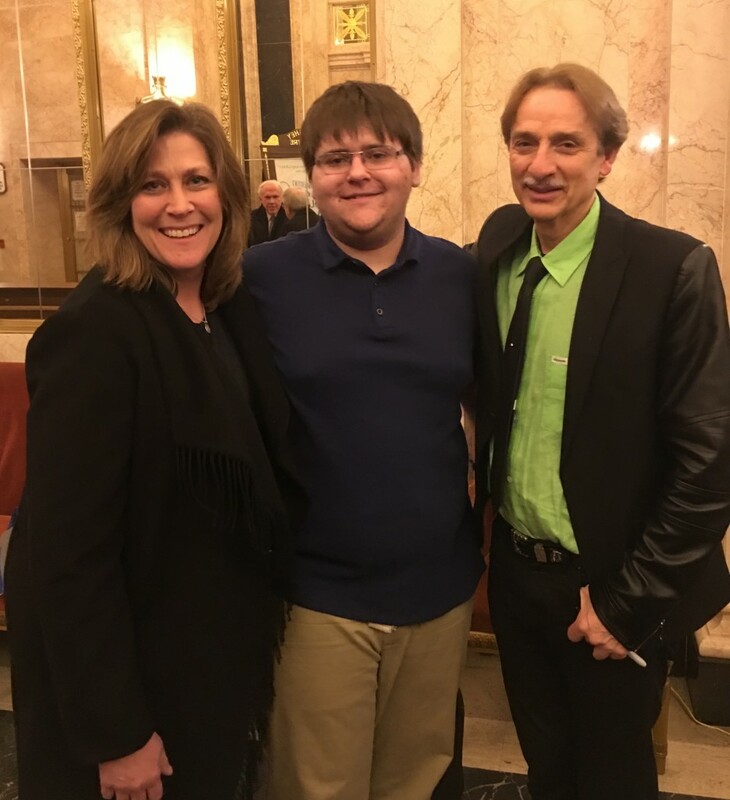 DB: It’s just so cool to hear about this – a very specific situation in which music helped a child affected by a rather involved transition find his voice. That’s music reaching parts of the brain that everyday speech or conversation does not. I would imagine that music coupled with music was helpful. KE: Yes! That was his other area. According to the typical US standard, he would have been lacking in gross motor. Within six months he had caught up. The movement in the class was beneficial. DB: That’s great. So how long did Alex do Kindermusik? Lydia Klinger, the Elicker’s Kindermusik Educator, with Ethan, and guest trumpet player Allen Vizzuti. [/vc_column_text][vc_column_text]Kindermusik was a very important part of the Elickers lives. Ethan, now 15, lives for the trumpet and plays as often as he can. And Alex? He’s going into third grade this fall. He’s taking piano lessons and singing in church. His ultimate goal is to play organ! Lydia, their Kindermusik Educator, retired after 20 years of serving musical smiles to her community. She now plays with the Harrisburg Symphony. The Elickers still keep in touch with her. Recently, she arranged a meeting with the Symphony’s guest trumpeter, Allen Vizzuti and Ethan. Alex prepares to play a duet with a friend. [vc_row][vc_column][vc_column_text]When we say that music is a powerful tool for learning, one of the biggest reasons is because music positively affects every area of a child’s development. And for over 30 years, one of the strongest advocates for early childhood development through music and movement has been Kindermusik International. 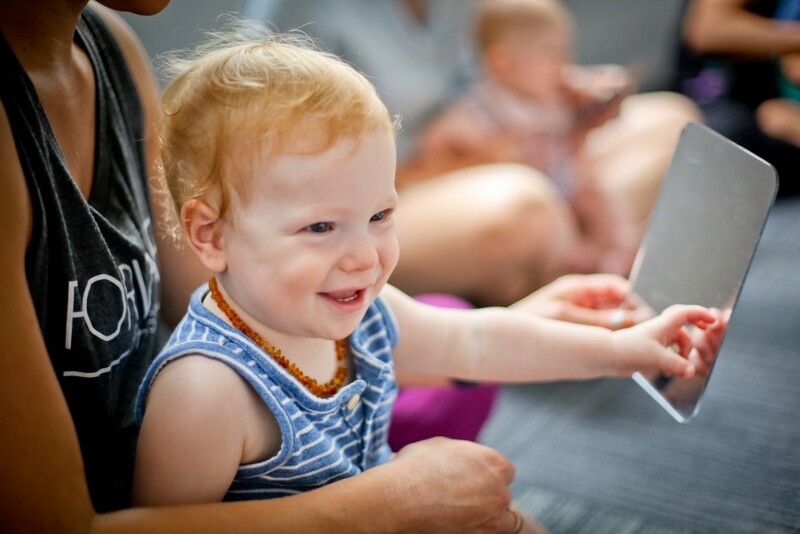 With a music and movement curriculum entrenched in research and infused with joyful activities that make learning effortlessly fun, it’s no wonder that parents, experts, therapists, and doctors have recommended Kindermusik over and over again for an experience that inspires giggles, bonding, and learning in every critical area of a young child’s development. [/vc_column_text][vc_video link=”https://vimeo.com/222525015″][/vc_column][/vc_row][vc_row][vc_column][vc_column_text]It doesn’t take an expert to see how every part of a child’s heart, soul, and mind can be powerfully impacted for a lifetime by early childhood music and movement classes. That’s why so many of us believe in the power of music, and because of that, believe in everything that is completely delightful and utterly magical about Kindermusik. Want to learn more? Download these research studies from Kindermusik International. [vc_row][vc_column][vc_column_text]We don’t just think music instruction has a cognitive impact; we know it does. The science to prove it continues to pile up. And it’s pretty exciting stuff when you’re talking about things like MRI’s, EEG’s, and behavioral testing being part of the proof. A recent study, begun by the Brain and Creativity Institute at USC back in 2012 has just revealed some impressive findings. The study actually showed that “…music instruction speeds up the maturation of the auditory pathway in the brain and increases its efficiency.” In other words, your brain works better if you’ve had musical instruction! Kindermusik International has long recognized the connection between music instruction and brain development. You can’t teach a baby to play the piano or violin, but you can still give them rich and powerful early experiences with music that activate and actually change the brain through music and movement activities. 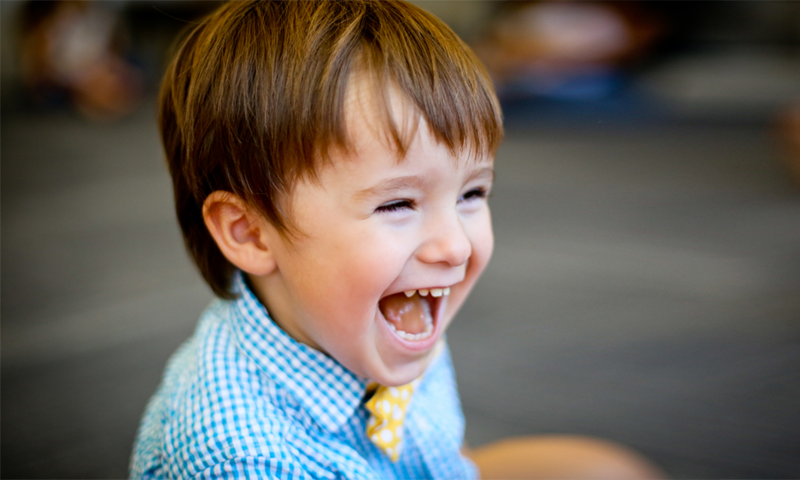 That smile betrays musical fun…impacting brain development! It is through a curriculum that combines the power of early music experiences for newborns to big kids in a developmentally appropriate setting that Kindermusik is able to deliver a unique music learning experience that puts a song in each child’s heart, helps parents and children bond, and gives kids a chance to play and be kids – all while giving them an early cognitive advantage through singing, dancing, playing instruments, and moving. 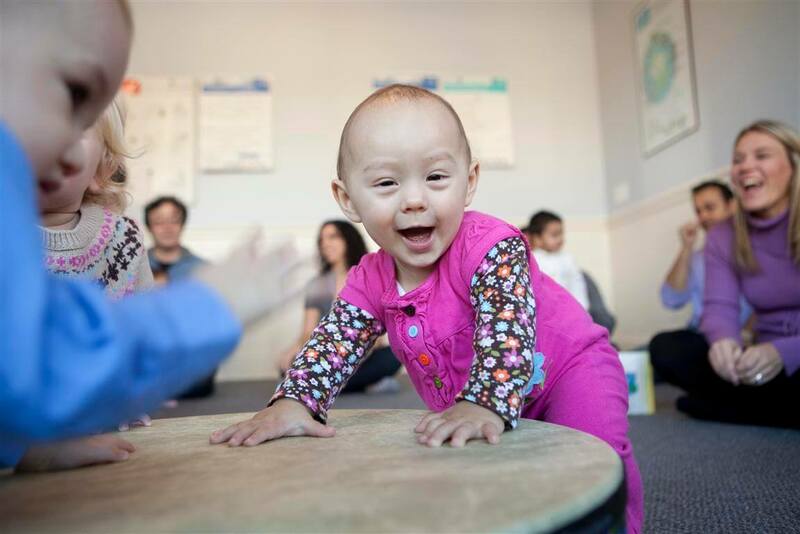 [vc_row][vc_column][vc_column_text]An article with a title like, “Bilingual Babies Are Better at Detecting Musical Sounds, Research Shows”, definitely captures our attention here at Kindermusik! What’s just as fascinating to us as anything else is how this article identifies benefits of bilingualism that are also benefits of beginning to learn the universal language of music at a very young age. For example, our Kindermusik library of music includes songs in other languages and music from around the world. And just like “exposure to multiple languages may sharpen infants’ music sensitivity in the first year after birth,” according to new research cited in the article, exposure to the language of music through a variety of music sung in other languages and music from other cultures also enhances both language development and musical sensitivity. It’s clear that early exposure to the language of music has some surprising short- and long-term benefits. 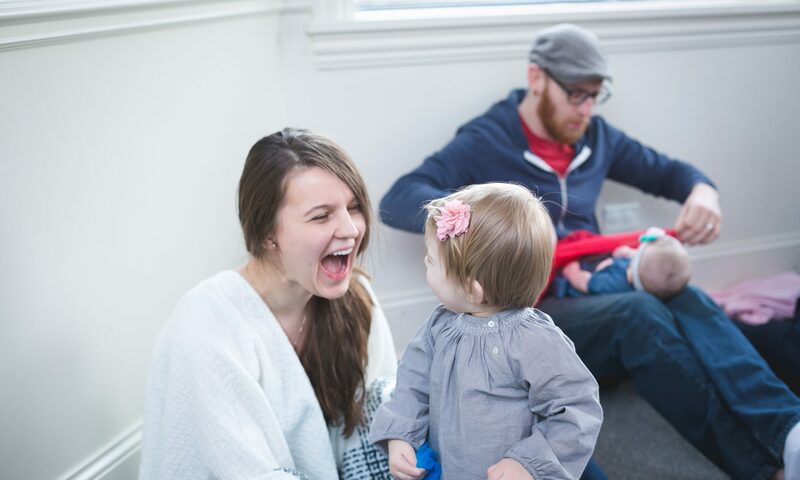 But with over 30 years as the world’s leader in music and movement education, all of us here at Kindermusik know from all of the smiles, giggles, and hugs that there are also lots of happy together time and magical moments of bonding and together time as a result of learning music in a class like Kindermusik too! [vc_row][vc_column][vc_column_text]We talk often about how music impacts our lives in countless ways. 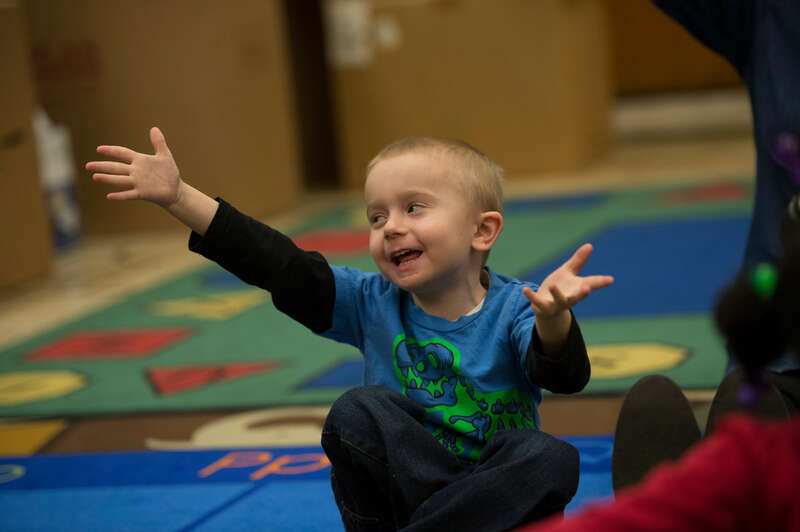 With our little ones, we focus on the positive effects of music as children grow – specifically development in the language, social, emotional, fine and gross motor, and cognitive domains. All of these domains are controlled by that mysterious organ – the human brain. Science tells us that the brain LOVES music and responds in wonderful ways. Dr. Boyle shares recent research on the topic in today’s post. [/vc_column_text][/vc_column][/vc_row][vc_row][vc_column][vc_column_text]Music is like an intangible vitamin for the brain. It’s not just listening to music that’s key; participation in musical activity unlocks accelerated brain development. When adding movement to the equation, benefits increase. As we move and increase our heart rate, the brain receives more oxygen. Research indicates that improved oxygenation of the brain improves cognition. Adding music into the equation lights up important areas of the brain, which have already been primed with physical activity. While listening to music, parts of the brain responsible for motor skills, emotions, and creativity glow when viewed with magnetic resonance imaging. The visual, motor, and auditory cortices are activated. When these areas are activated regularly through music, they are strengthened. That strength can be applied to other tasks. 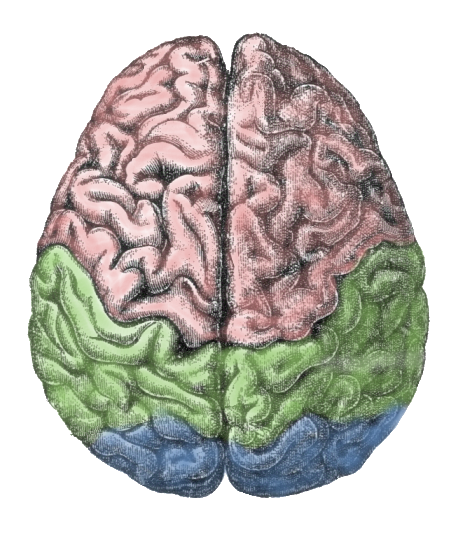 Increased activity in the corpus callosum – the pathway between the brains two hemispheres. 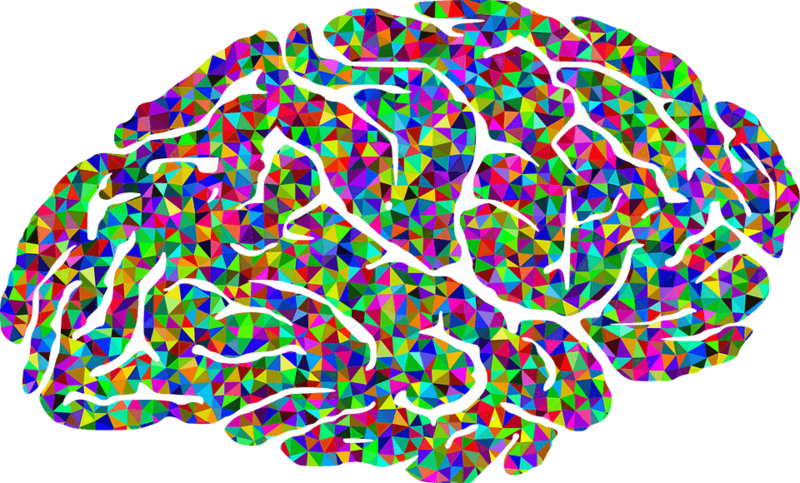 This allows for information to travel throughout the brain more efficiently. [vc_row][vc_column][vc_column_text]Science tells us what we, as music educators, already know: music is good for brain development. We constantly see study after study that verifies what we see on a daily basis in the young musicians with whom we interact. Recently, a study at the University of Southern California’s Brain and Creativity Institute indicated that early exposure to musical instruction increases the development of the brain in children below the age of seven. The study reenforced the connection of music and stronger math, language, and reading skills. And we also know that when you make music with another person, you are more likely to empathize with them. [vc_row][vc_column][vc_column_text]It’s how we acquire any language – sound first – symbol second. We learn to speak before we learn to read. Music is the same way – we mimic what we hear before we can read it on the page. We learn by rote before we learn through understanding. Our last post talked about music’s positive impact on language learning. Well…music also has a positive impact on reading skill. Dr. Boyle explores the latest research on music and reading. [/vc_column_text][vc_separator][/vc_column][/vc_row][vc_row][vc_column][vc_column_text]Think about your musical experiences as a child. Whether you realized it or not, you learned new words through music. In my main profession as a choral conductor, I learn new words through music regularly; poetry drives what I do. I keep a dictionary right by my piano so I am able to look up words I don’t know as I come across them. I am grateful for this extra gift music gives me. 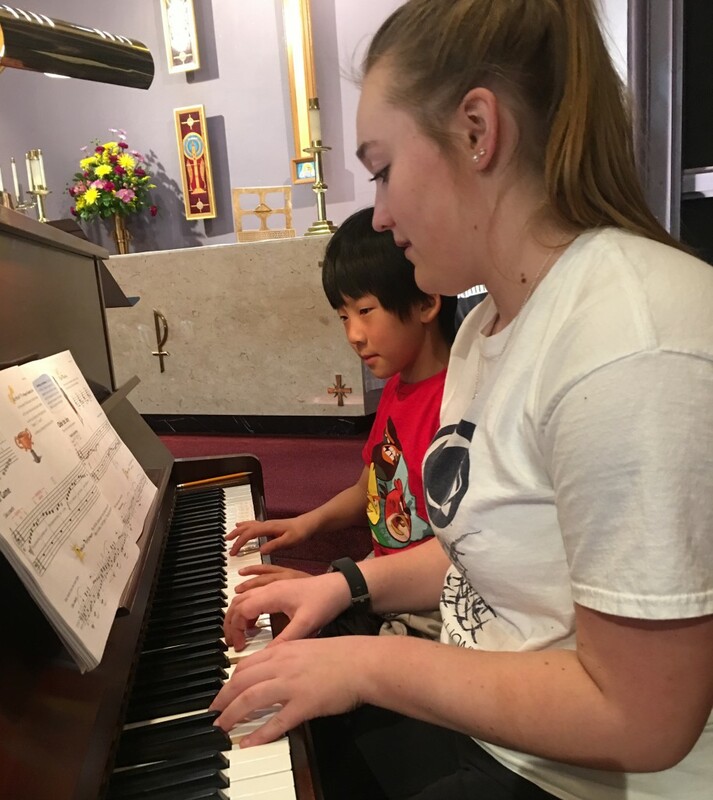 Studies conducted at the University of Toronto and Johns Hopkins have supported the concept that participation in musical activities increases cognitive skill. Drs. 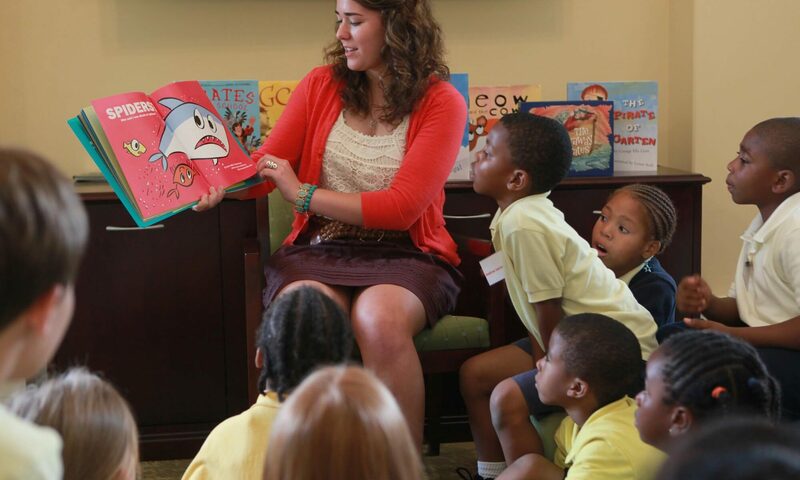 Nina Kraus and Samira Anderson of Northwestern University produced a study that indicated the ability to keep a steady beat related to reading readiness. In the study, subjects were separated through assessment into two groups: those who could keep a study beat (synchronizers) and those who found it challenging (non-synchronizers).